January 1st, April 25th, Good Friday, May 1 st, Corpus Christi (end of May or beginning of June), June 10th, August 15th, October 5th, November 1st, December 1st, 8th and 25th. The continent of Portugal is usually one hour ahead of Greenwich Mean Time, except for Madeira, and the Azores which are one and two hour behind Portugal respectively. 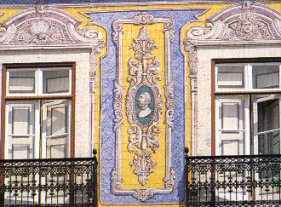 The Portuguese monetary unit is the escudo (Pte), written with the symbol $. Money can be changed in any bank and there are also machines for changing money in several places. Money and traveller's cheques can also be changed in hotels, but a commission is payable. The most widely used credit cards in Portugal are VISA, AMEX, EUROCARD, DINERS CLUB and MASTERCARD. Accident and emergency departments in the hospitals are open 24 hours a day. The number for emergency services is 115. On the road, there are SOS orange-coloured telephones. Exportation of these goods or effects can only be carried out with a certificate of exportation issued by the Secretary of State for Culture (SEC). AEROPORTOS E NAVEGACAO AEREA - ANA, E.P.